Looking at your genetic data might uncover information that some people find surprising. This information can be relatively benign. At other times, the information you learn can have profound implications for both you and your family. 23andMe cannot provide you with an exhaustive list of all the unexpected things you might uncover during your genetic exploration, but in general these things fall into four main categories. Each of us carries a large number of genetic variations - from differences at single DNA "letters" to duplications or deletions spanning entire chromosomes. Our Carrier Status* reports tell you about variants that may not affect your health, but could affect the health of your future family. Carrier status testing can look for some of these genetic variations that can cause inherited conditions. Being a carrier means that you have one variant for the inherited condition. Carriers typically don't have the condition but can pass the variant to their children. If you and your partner are both carriers for the same inherited condition, you may have a child with the condition. In addition, some genes are associated with more than one health condition or trait. You may learn that you are a carrier for a gene associated with multiple health conditions. Genetic counseling can help you understand your results and options. It is recommended before testing, and also if you are a carrier. 23andMe Health Predisposition* reports help you learn how your genetics can influence your chances for certain diseases. This category includes Genetic Health Risk* reports and reports based on original 23andMe Research Discoveries that are available exclusively to 23andMe customers. The Genetic Health Risk reports tell you if you have genetic variants associated with an increased risk of developing certain health conditions. Having a particular variant linked to a higher risk for a condition does not necessarily mean you will develop the condition. This is because other factors like lifestyle, environment, and family history can also affect your risk. For some of these conditions, prevention and treatment options may be available, but for others, these options may be limited or nonexistent. Learning that you have a genetic risk factor for a disease can be difficult and it is important to think about what this type of information could mean for you. We encourage you to learn more so you can decide whether testing is right for you. A genetic counselor, a healthcare professional with special training in genetic conditions, will be able to answer your speciﬁc questions and help you make an informed decision. Talk to your healthcare provider or click here (this link takes you to the National Society of Genetic Counselors) to search for a genetic counselor near you. Genetic information can also tell you things about your ancestry and origins, and therefore about your relationship to other groups of people across the globe. Sometimes this information will confirm things you already know about your particular heritage or origins. At other times, this information might surprise you, and you might learn that you share a genetic history with unexpected groups. Different people feel differently about this kind of information; some people are excited about these new connections and others take more time to integrate this information into their sense of self. As with much of the information you might uncover on your genetic voyage, how this new information makes you feel will depend on your personal viewpoint. Because our genes are part of our family heritage, genetic information can sometimes reveal things about our biological relationships to other family members. In the process of learning about your genetic makeup and comparing that with others, you may discover relatives who were previously unknown to you, these could be relatives you’ve been looking for and are excited to connect with or relatives (sometimes even close relatives like brothers or sisters) that you didn’t know existed. Your genetic profile can also lead you to other, distant branches of your family tree. Genetic information can also reveal that someone you thought you were related to is not your biological relative. This happens most frequently in the case of paternity, where someone learns that their biological father is not who they thought it was. Individuals who have donated sperm or egg(s), or are donor-conceived themselves should note that participating in the DNA Relatives feature may reveal previously unknown relationships including the potential of close biological relatives (such as a biological father, biological child, or siblings). Some individuals may be open to exploring new biological relationships and choose to opt in to the DNA Relatives feature, while others may wish to preserve their anonymity by choosing not to participate in the DNA Relatives feature. 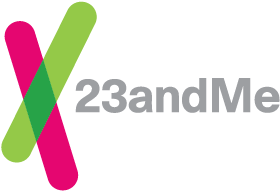 The 23andMe DNA Relatives feature is an optional feature and requires customers to opt-in to the feature to access it. It is a popular, interactive feature that allows you to find and connect with genetic relatives and see specific DNA segments you share with them. The DNA Relatives feature can identify relatives on any branch of your recent family tree by taking advantage of the autosomal chromosomes—the 22 chromosomes that are passed down from your ancestors on both sides of your family—and the X chromosome. Because genetic information is hereditary, knowing something about your genetics also tells you something about those closely related to you. Your family may or may not want to know this information, and relationships with others can be affected by learning about your DNA. Everyone has different tolerances and preferences for learning information. You might be surprised by a family member who would prefer not to know something you feel is important to share. At other times, you may learn something about yourself, your family, your ancestry, or health-related associations with your genotype that you would prefer to keep private. You may find yourself having to weigh sharing such information with other family members against your own desire for privacy - or their desire not to know.